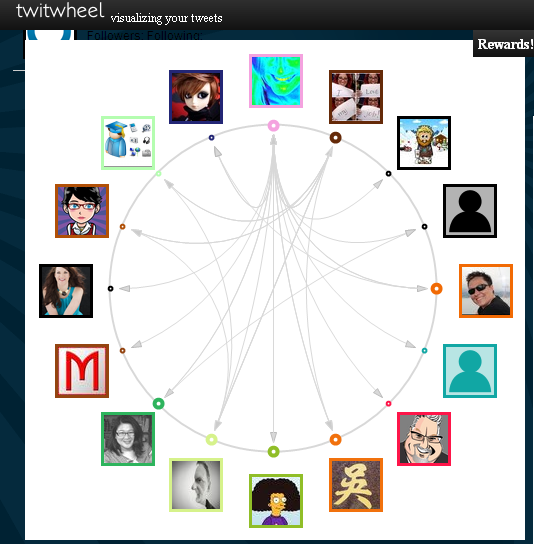 Currents of my river...: With my PLN; I am. With my PLN; I am. With my PLN; I am more supported, more able, better inspired, affirmed, engaged and connected. I value my PLN immensely. I am enriched because of my PLN. Having known a PLN; I don't think I could continue working effectively without one! What about you? There is much discussion around the why's of a PLN. 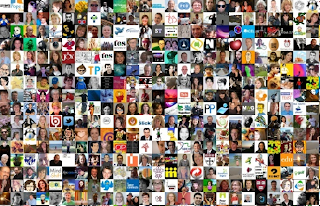 How do you connect using Web 2.0 tools to gradually build a PLN? 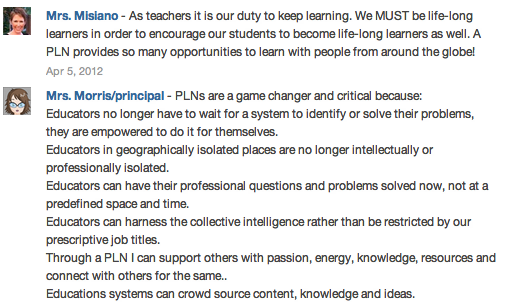 Is a PLN necessary in an educational setting? 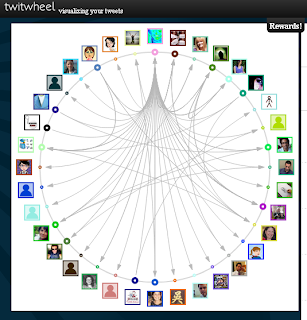 How does one benefit from a PLN? Why does one need a professional (or personal) learning network? Just the same as having a car without a trusted mechanic OR a petrol station to fill your car up. Or food to sustain you. A PLN is a terrific support and is ever offering. Dr Alec Couros, an associate professor at The University of Virginia, Canada and @davecormier believe in Rhizomatic education (read more about this concept here on Dave's blog) Within the rhizomatic model of learning, knowledge is constructed and negotiated in real time by the contributions of those engaged in the learning process. (Cormier, D. 2008) Learning with a PLN is like a rhizome. It responds to changing environmental conditions. A Rhizome makes its own path- which is needed in forming our own PLN. Why wouldn't you be without one? The beauty about this, lies in taking responsibility and "owning" our professional growth. With web 2.0 tools, our PLN now has the capacity to stretch across the globe and be as interactive and supportive as YOU allow it to be. 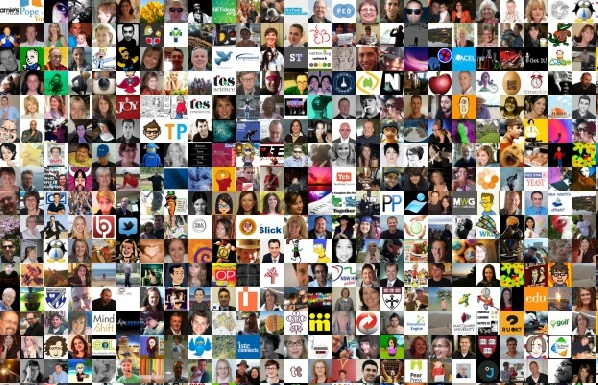 Below is a Twitter mosaic of some of the people I follow on Twitter; they form part of my PLN. 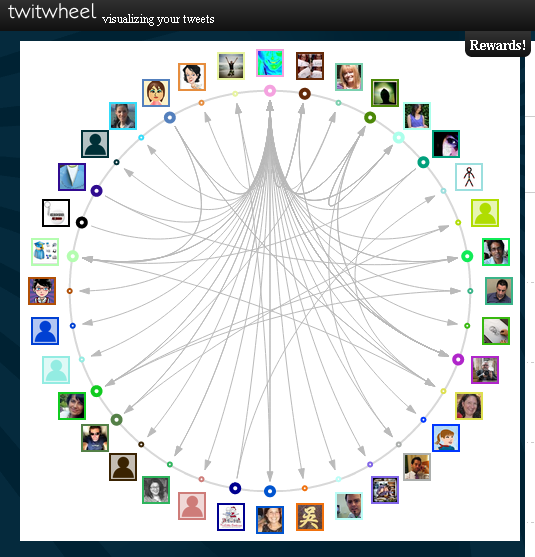 How have I benefitted from my PLN? First and foremost RELATIONSHIPS. 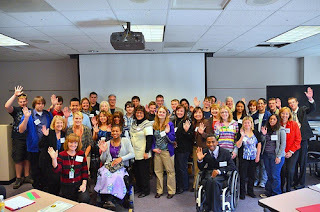 I have meet f2f (face to face) the most amazing people whom I continue to be inspired by. The connections made are not a one off meeting. I regularly connect and meet up with a bunch of tremendous educators- 99% of whom I would never have meet if not for my PLN. I have made life long friends in @malynmawby, @edusum and @liamdunphy who I respect and admire tremendously and cherish regular contact with. Croatian @mscro1 (via twitter firstly; now continue our friendship via Skype and email) @abfromz and closer to home @mesterman, @johngoh, @1moniqued @whartonag. I heart the amazing energy, wisdom and skills of @katiefoges, @townesy, @pipcleaves, @rolfek, @henriettaMi, @ClareFroggatt @benpaddlejones, @ellyconnolly @viventuckerman, @lobroo @jamesmcintosh and @Foodwatch. A big thanks to @simoncrook who inspired me to get back into Twitter at a professional development day at my school July, 2011. As illustrated above; Accessibility –drawing on others expertise and passions. Plethora of ideas, resources, connections, tools. I have been inspired to teach myself how to set up and maintain blogs. Via Twitter I stumbled across a conversation on #teachmeets- you know the rest and how much I love and have become involved in this f2f extension of PLN! I manage files, communicate and gather data more effectively via google docs, google forms, google alerts, drop box, Skype, Edmodo, QR codes and Twitter. I have been inspired and encouraged to start and maintain groups for others (see below). Through these global connections I was able to organise a sykpe session for the Oakhill Teachmeet 2011 and World record teachmeet at Eveleigh Sydney, 2012. Pearltrees has asked if they could use my presentation from international teachmeet on their website. My passion of educating others on the benefits of wholesome eating and cooking has been reignited via #foodrev (@jamieoliver, @FoodRev stand up for #realfood and our @foodatoakhill instagram and twitter account. I get a BUZZ out of helping others connect or providing info that is helpful to them. ...and those you do know, affirm your input. Pass it on- sharing of cool stuff! One person shares, retweets and so on. So many people come in contact with some amazing and handy resources very quickly...and effectively. Imagine calling a staff meeting to impart info you can read about at your pace, when you like, where ever you like. Even whilst writing this post a form of affirmation arrives in a tweet by @mesterman after sending him a link that I felt he may find useful. Apart from the professional aspects of my PLN; it has been fun receiving responses back from "well knowns" such as Julie Goodwin, Wendy Harmer, Melissa Doyle and Jamie Oliver amongst others. Amazing opportunities, such as answering a call out by @gcouros last year to help with understanding of "PLAY". He included my son's Garageband composition in his keynote (Click here to watch: K-12 online conference) closing credits (17mins in) and my itimelapse video of a sketch of George's twitter handle at 17:30sec or click here to see it on You tube. Fellow Australians @malynmawby, @edusum and @wrightstuffmusic were also able to help out our Canadian friend. A PLN allows me a tremendous sense of belonging. A belonging much more epic than my staffroom. A PLN allows me to challenge thinking, keep learning/not stagnate, be challenged, and assist me in keeping up to date with current thinking as well as providing me with a never ending tap to a global wealth of knowledge. A PLN allows me to better assist the students entrusted to my care. A PLN is there- you just need to open the door. How do you know what is available if you keep within your own very localised work environment? I acknowledge there are many effective educators that are not part of an extended PLN. (Wouldn't it be great for those educators to share their tips and wisdom with others) I also acknowledge any organisation needs to evolve; so why not education? We are getting there and I am excited about the subtle changes, especially for the next generation. After all, it is their future! Edmodo Health nutriton 4 us (USA) this is a group that I am co teaching with another teacher Mrs Susan Nicholas and her PDHPE classes in Illinious. Classes have connected this term and next term they will create a small project together. What an awesome and exciting experience for all concerned! Also, be active in your tweeting, replying, sharing and commenting on other blogs. This forms part of the conversation and challenges thoughts on your own practice and the practice of others. Join in projects: in 2011 #ccglobal (connected classrooms ran an Advent card exchange using QR codes, the good old fashioned postal service and tools such as Vimeo or voice thread to send Christmas messages to each to each other.) You can read more about this here and see some of the great products of the kids creations. Kids enjoyed sending AND RECEIVING messages around the globe! This was a great initiative by @LiamDunphy and @pammoran. Here I met tremendous educators such as @vickyloras, @lizarmenio and @corriekelly. “Twenty years from now you will be more disappointed by the things that you didn't do than by the ones you did do." Returning to car analogy from the beginning of the post; a PLN helps fuels my drive. It provides me with additional energy and motivation to be as an effective educator as I think I ought to be. -Getting started with a Twitter PLN- by @milesmac TERRIFIC poster! With my PLN; I am more supported, more able, better inspired, affirmed, engaged and connected. I value my PLN immensely. I am enriched because of my PLN. Having known a PLN; I don't think I could continue working effectively without one! What about you? Thanks Elly! Sent draft to publish, served dinner and bingo! A reply from Elly :) So glad to have met you. Looking forward to many more laughs and great times! Thanks for stopping by and taking the time to comment. Love investigating the new! Who knows what it may deliver. Thanks for the comment. So glad you are also happy to share and support so many -especially all the great work you do on Edmodo! Wow, amazing post. As always your enthusiasm and energy for life, teaching and everything in-between humbles and inspires me. it is great to know, share and learn with you. I had the privilege of meeting you and watching one of your presentations at my very first teachmeet at NBCS. I was directed to your blog and amazed at all the work you do; not only for your students but other educators as well! One of my favourite presentations of yours was the Questioning (and sock! )techniques at St Augustine's College #teachmeet! I could never tire of learning from educators such as yourself. Thanks for all you do! Wow, I couldn't stop reading. Way to go documenting your learning journey. Wish I had half your energy! thanks for this wonderful post. It captures my feelings exactly! Before building my PLN I always felt confined to the walls of my country, but now I belong to the world. As you say, there's always someone in this huge international staffroom and I never feel alone any more. My PLN is my support, my inspiration and my encouragement. Thank you so much for being part of it. HI Arjana! I love "huge international staffroom!" So very true. Thanks for all your exciting work with International teachmeet and the Student teachmeets-heaps of fun! Have a great week. Are you guys almost at the end of the school year? How long is your summer break? Wow...! Your post really resonates with my own baby steps in establishing my virtual PLN. I came from a school that had an amazing embedded culture of professional dialogue and support, and have moved to place where it is taking longer to establish those connections as the newbie on the block. Connecting through twitter to #ozengchat, #tmsydney, and through those to people like you, @malynmawby, @vivimat78, @cpaterso, and more and more has been the best PD I've had in years. Through Cameron, we were able to attend Instructional Rounds, providing an invaluable opportunity to experience this firsthand before introducing at our place. Thanks for your post and again to everyone out there who offers their time, thoughts, etc to supporting the learning of our students and the growth of our profession. What an outstanding post! I am very lucky to be part of your PLN, and a friend. Your energy and desire to connect and share are such a inspiration to us all. There is so much for education to be proud of in this country, and we built this; it's organic, real and meaningful, so it cane sustained. I love what we have, the support for what we do and who we are can never be underestimated. Jeannette, This is an incredible post. Please can we get together in the holidays so you can give me some lessons in how you do what you do? I am blessed to be listed alongside those who have energy. Your energy abounds! It is so inspiring. Thankyou for including me in your PLN. I learn so much from you. Wow Jeanette what an amazing post. I really enjoyed meeting you, John, Elly, Andrew and Malyn at the teach eat last holidays. I started to setup my PLN in edmodo last year and have enjoyed sharing and receiving great ideas on how to integrate technology into learning. As you know I am very new to Twitter and I have met and followed many passionate educators like you. Like you I love to learn and lately found that the edmodo data stream was not fast enough. 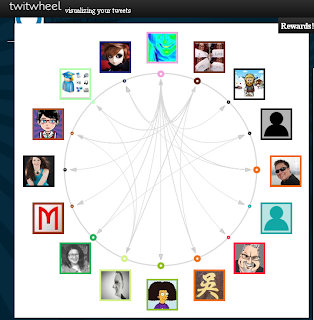 I can see how twitter is the backbone of a strong PLN as it is more personal. On your advice I have been compelled to start my own blog to share my experiences with the community that has shared so much with me. I am so happy to be part of your PLN and yours of mine. I look forward to getting to know you better through edmodo, twitter, teach meets and teach eats. Thanks for stopping by and taking the time to comment and get involved! 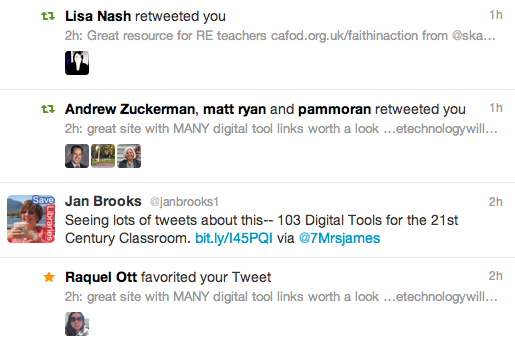 Don't you just love the dialogue that bounces around in cyberspace- so inspiring when educators put this into action. Great you had a go at Instructional rounds. I went to Cam's school last year and would love to go back! Looking forward to meeting you sometime this year. Thanks for your support. You are amazing and I am humbled by your energy and positive outlook. I love hearing about all your wonderful students and the learning that occurs at the big R. I loved #ravoties- what a tremendous effort to instigate such a worthwhile professional learning environment for all of us who attended (and those that attended via the VERY active backchannell!). So, so, so very glad we connected at #teachmeet Shore! It is thanks to YOU, I wrote this post in the first place. :) Sure, would love to get together and help you out in any way I can. I am a trial and error type of gal so, fall with me and learn new mistakes and we shall go places! You are an amazing educator and I am so glad we connected via Edmodo! Fellow foodies at heart! I still love this quote: "Innovators are mixers: they blend together ideas and people to come up with new recipes". Charles Leadbeater. How great is our "pantry" of resources! My eyes are still so wide as to what is possible. The future is indeed bright. Many people in a PLN are helpful. Many people in a PLN are passionate. I have no hesitation in declaring you Jeannette as passionately helpful! My PLN is all the richer for your contributions. Lovely to have another global tweeter join the conversation. It is great that you took the time to comment. I really do enjoy seeing all the various countries come across this blog, via the live traffic feed and stats. Very exciting! It is truly becoming an increasingly connected and engaged world. Even tonight watching the Eurovision singing contest, it was extremely entertaining reading everyone's Tweets via the #sbseurovision hashtag- some hilarious tweets! I would love to read your blog post on PLNs- can you direct me to it via Twitter? You seem like a funky librarian! Sure would be fun learning with you and your students at Wendell Phillips Academy High. I am looking forward to reading about your adventures on the other side of the world! You always make me smile Steve! Great post, Jeanette! Pulls everything together. Wll share with my staff... see if we can't get more people seeing the value of expanding their PLns beyond the school walls. Thank you Jeanette - not for singing my praises but the love and support you have shown me. I attended my first teach meet on your recommendation and have now increased my PLN with some inspiring people. I thoroughly agree about the benefit of twitter. I decided to begin my PLN through twitter and at first it was slow going and felt like a secret handshake club. But with the help of people like yourself it has spread worldwide and I have passed each one of my Masters subject through great connections with their fingers on the pulse. Let's hope I make it to the end of the race! Thanks for the kind words Miles. I am glad this post is able to provide help. Hello Lobroo! Another Queensland twitter buddy. Even though we are 10 hours apart, it is has been wonderful connecting with you and sharing ideas, resources and conversation. I am so glad you managed to get to a Teachmeet! I hope others at least try a few to get an overall sense of how valuable this PD can be. I am sure you will enjoy the rest of your masters. Glad you are in my PLN! Wow - look at those page views skyrocket! Great post and the viewing stats simply confirm the power of PLNs!!! So inspiring--great reflective post. I hope to share the post with educators at a workshop in August (still the old-style way until they are on-board!)! You have created a really substantive post here about so many benefits for joining the conversation beyond our school buildings. I would like to link to this post and share it with the participants in a workshop session coming up in June at the Iowa Reading Conference. Is that all right with you? Here is my "handout" for the conference. I would add this post to the resources I'm gathering here. Absolutely! That would be marvellous! I would be honoured knowing others may benefit from my reflections regarding "the deprivatisation of teaching and collaboration" (G, Whitby 2012 via Twitter). Feel free to link the post to your collection of resources. I would be very honoured it you do Joy! Thanks for connecting :) You made my day! Great post and you've summed up so much of how I feel about my PLN - it's hard to explain to others without sounding evangelistic, they need to see it for themselves and you've done a great job of 'showing, not telling'. Thanks - will be sharing this post around our school to try to get others on board. Good luck with your presentation in SA. I am sure attendees will be open to such a supportive network. Start small and slowly stretch your comfort zone is sound advice. There is always someone to help and support you. Educators must trust in the good of others and have the confidence to belong to a PLN. As in any group or relationship, it is important to "give" as well as "take". It is very much a two way street that can lead you into many intriguing little lanes and alleyways! Have fun! Wow, I really like this post. You've described not just the practical benefits of being part of a PLN, but also the tremendous joy and sense of belonging that it brings. I keep trying to explain to others why its worth investing the time to build a PLN. I think this post communicates that really well. I'll definitely be sharing this with others.